A few months back we wrote a couple of columns about blues musicians Blind Lemon Jefferson of Wortham and Sam (Lightnin’) Hopkins of Centerville. We weren’t surprised when a friend reminded us that East Texas has produced a number of other blues greats. While the Mississippi Delta gets credit for creating the blues with innovators like B.B. King and Muddy Waters, some of the earliest blues pioneers lived and played in East Texas. Henry Qualls, a blues singer from Elmo, near Kaufman. Here are some other pioneers who, like Jefferson and Hopkins, started in East Texas. Just outside Navasota, on the banks of the Navasota River, Mance Lipscomb was born in 1895 as Bodyglin Lipscomb. He later chose the nickname Mance, short for Emancipation. Lipscomb started playing the guitar as a boy and developed a style that made him popular at Saturday night dances. With his style of playing slide with a pocketknife, he performed with Pete Seger and the Grateful Dead. Frank Sinatra once hired him to play on his yacht with girlfriend Mia Farrow. Lipscomb died in 1976 and was buried in a Navasota graveyard. Alger Alexander, a cousin of Lightnin’ Hopkins, was born at Leona, south of Centerville, in 1900. A drifter and ex-con, Alexander wound up in New York playing for jazz and blues stars. Alexander was known for the work songs he heard in East Texas. He died in 1954. Blind Willie Johnson, born near Marlin in 1902 or 1903, was blinded at seven when his father threw lye in his face during a domestic squabble. 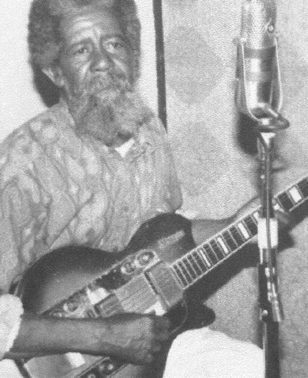 He shaped his style from gospel music and when he started recording in 1927, he became one of the country’s biggest sellers in the blues field. He died in 1949. Barry, west of Corsicana, was the birthplace of Melvin (Lil’ Son) Jackson in 1917. He broke into the blues business when he sent Gold Star Records an amusement park disk he made of a blues song. His lazy, resonant voice and his simple guitar style kept him busy until an automobile crash ended his music career. He died in 1976 in Dallas. Another small town--Elmo, near Kaufman--produced guitar picker and blues singer Henry Qualls in 1934. He made his recording debut with ‘Blues From Elmo, Texas,’ singing songs by Hopkins, Johnson, Jackson and himself. While Texas claims to be the home of Huddie (Leadbelly) Ledbetter, the master of the blues 12-string guitar, he was actually born just across the Louisiana line in Shiloh in 1888. The family did, however, moved to Leigh, Texas, when he was five.